APEX, North Carolina -- Priyanka Kumari's father traced from memory the wounds to his daughter's face, marring her after a gruesome machete attack Thursday afternoon just yards away from their home. "There's a cut over here," he said, using his index finger, drawing an imaginary line across the bridge of his nose. "It's a deep cut -- a bone fracture." Drawing another line from his cheek toward his left ear, then tapping several spots on the top of his head, he said: "There's a deep cut over here and on the back, all over the place." Pankaj Kumar said at first, he didn't recognize his daughter after the brutal attack. In all, Pankaj Kumar said his 18-year-old daughter suffered 46 wounds to her head alone when Neel Mehta, 20, hacked at her with a machete for several minutes. The attack unfolded inside the family's Apex neighborhood as Kumari was walking home after school. At least one eyewitness who called 911 captured the assault on cell phone video. Apex police, who are now reviewing that video and dash cam video, said Mehta only dropped his weapon after officers confronted him with guns drawn. Following the attack, the I-Team uncovered a disturbing Snapchat photo of Mehta that friends told ABC11 was sent earlier that day. In it, he's holding the machete and making a kissing gesture. Kumar said he had never seen that particular photo, but that for weeks leading up to the attack, Mehta had been sending his daughter threatening texts and messages on social media. He said Mehta first met his daughter when she was a student at Cary's Green Hope High School. 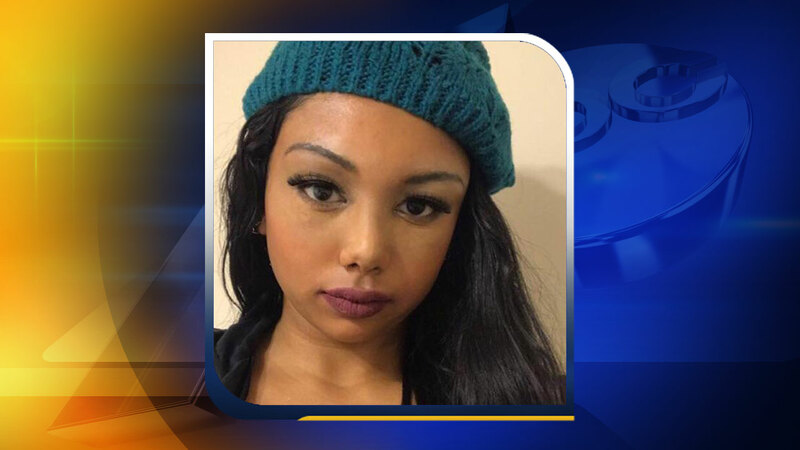 Kumari said Mehta was obsessed with her and at one point in 2015, forced her to do drugs before he and a group of teens dumped her in the middle of a road in Cary. After that, Kumar had Kumari transferred to Holly Springs High School to distance her from Mehta. However, he said when she stopped responding to Mehta's texts and messages, he started threatening and intimidating her. They were planning on taking out a restraining order against Mehta later this month. From her hospital bed, Kumar recorded his daughter's voice, telling her story in her own words. "(He) stomped her by his feet and jumped on her body and then started to cut her throat and cut her head off," Kumar said of his daughter's memory of the attack. "She said that at one point of time I feel that I'm going to die." Kumar said after one six-hour surgery, it's unclear how many more operations Kumari will have to undergo. She'll need extensive physical and mental therapy to cope with the trauma. Still, he said her strength is what is holding their family together. "She is completely, completely, changed on her face," he said. "I could not even recognize -- my wife actually fainted down until she was brought back to the waiting area on the wheelchair. Priyanka said from a distance that 'I love you mom and I'm OK. So don't worry.' She was so strong that she gave us the strength." Mehta is in jail under a $2 million cash-only bond. Investigators will take the case before a grand jury for an upgraded charge of attempted murder.